What’s the “right” way to exercise? If you spend much time online looking into it, finding the answer can get confusing – fast. How many reps and sets should you do to build muscle? Should you only train one muscle group a day? Should you do more cardio? But here’s a question that will answer the rest of them. Is it better than train one muscle group a day, or focus on several large muscle groups? Before I answer, some of this obviously depends on your goals. Do you want to become a bodybuilder or do you want to get lean, fit, and toned? Believe it or not, those are two completely different things that need different workouts. If you want to become lean, fit, and toned, functional workouts are the way to go. Functional movement training doesn’t just strengthen one muscle group at a time. Instead, this kind of training works several muscle groups at once. As a result, you build strength holistically, forcing your body to function as a single unit. Because you’re using several muscle groups at once, coordination and neuromuscular control is also improved. Basically, functional movement training is all about training “movements, not muscles.” It mirrors how humans were meant to move, and helps to make us move even better. Sprinting, jumping, pushing, pulling, climbing, lunging, and squatting – we do these activities in almost every sport. We also include them in many of our daily activities. You might be wondering why these movements are so important, and why they’re better than traditional weight training when it comes to developing real-world fitness. Old-school body part training won’t get you the results you want. Isn’t related to movements performed in everyday life. Shortens and tightens muscle tissues. Can lead to muscular imbalances. Typically doesn’t develop important stabilizer muscles. All of these points are huge problems if your goal is to become truly physically fit and not just have bulging biceps. Functional movement patterns allow you to become physically fit holistically, while also achieving a lean and toned physique. And they have lots of other benefits, too. The top goal of functional movement training is to lower the chance of injury. Some of the top risks of injury for those starting a fitness regimen include: core weakness, muscle imbalances, musculoskeletal abnormalities, and poor neuromuscular control (1). Functional training addresses all of those issues. That’s because all functional training movements engage the core. That means they immediately help to correct core weakness. 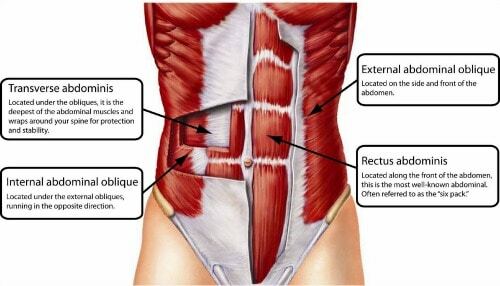 Functional movements use your stability muscles (such as the deep core muscles that lie beneath the muscles of our “six-pack”) that protect the spine from excessive twisting and extending. Not only that, but functional movement training addresses muscle imbalances and asymmetries through corrective exercises that build a strong foundation. This is opposed to traditional weight training, which attempts to build muscle volume on top of potential asymmetries – which is a real no-no if you want to reach your fitness goals without problems. Neuromuscular control refers to the network of neurons and muscles involved in the control of movement. Is also improved with functional movement training, as these movements require balance and smooth transitions between motions. In fact, studies have shown balance training – a key component of functional training – to be more effective for neuromuscular control than strength training (2). The more you strengthen the neuromuscular system, the core, and correct muscle imbalances and asymmetry, the less your risk factor is for injuries. This is so important to keep in mind when you begin training and want to dive right into intense regimes without taking the time to build a functional foundation. If you’re feeling impatient, remember that any goals of weight loss or increased performance will obviously be cut short if you were to sustain an injury. The main goal of functional movement training – aside from preventing injuries – is increasing performance both in and out of the gym. While traditional training is often limited to movements your would perform in the gym, functional training has what we call a “transfer effect” to real-life situations. For example, doing knee extensions, no matter how heavy, is less likely to help a person get off the couch than performing a squat, which is a functional movement. Research has shown that functional movement increases strength and flexibility, even in individuals who would already be deemed physically fit. Here’s some proof: a study conducted on elite high school basketball players showed that just 16 weeks of three-times-per-week functional movement training improved hand grip strength by 12 percent and bench-press strength by 9 percent (3). Another study also found that athletes improved their jumps after doing six weeks of functional movements (4). Not only can functional movement training increase physical performance, it can also increase mental stimulation, which has been shown to lead to enhanced cognitive ability (5). This is due to the stimulating and – frankly – non-boring nature of functional training, which includes balance, mobility, and stability challenges, rather than simple muscle contractions. This encourages the brain to focus on and adapt to new movement patterns. Even though we’re putting emphasis on training “movements, not muscles,” functional movement training is by no means lacking when it comes to producing lean, toned bodies. 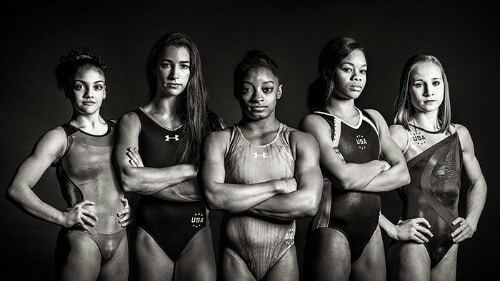 Take a look at gymnasts, who rarely carry an ounce of fat on them as they use only their bodyweight to perform seemingly gravity-defying movements. They are a prime example of the power of functional training. The reason this type of training is so effective in getting individuals lean is due to the fact that these movements are compound, meaning they use more than one muscle group at once. This not only builds more lean muscle mass – which helps us to burn even more fat – but also recruits more muscle fibers during the exercise. This produces an effect referred to as “afterburn,” or excess post oxygen consumption (EPOC). EPOC is the amount of calories burned after your workout, and research has found that shorter, more intense full-body workouts burn a greater amount of calories over time than longer, low-intensity workouts (6). Functional movement exercises involve full-body motion and engage the stability muscles, which are extremely important in preventing injuries. 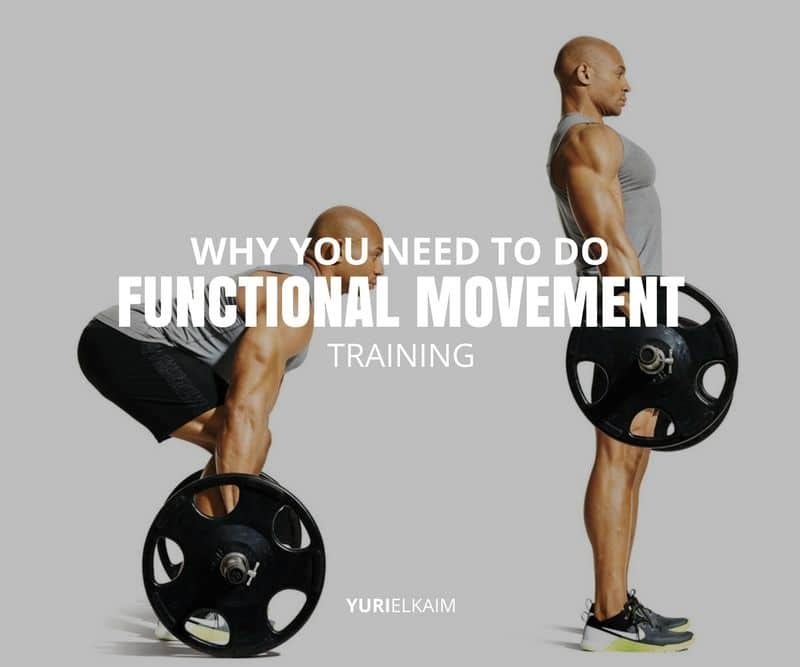 While this list doesn’t include every functional movement you can do, it gives you an idea of what kinds of movements are classified as functional. Any of these exercises can be used in combination to create a full functional movement workout. However, if you’re looking to create a program specifically designed to improve your performance and guard against potential injury, I always recommend getting a Functional Movement Screen (FMS). The FMS consists of a series of seven mobility and stability exercises and three clearing “tests” that will reveal any imbalances in the body. This allows individuals and trainers to become aware of imbalances in movement before beginning a program, so they can first correct it. The FMS is simple and is used by a wide variety of health and fitness professionals. To find a certified expert, simply search the FMS website for professionals in your area. Functional movement training really has no downside. From enhancing quality of life and preventing injuries, to helping your increase your sport performance and lean out, it really is the best method of training there is. Want a free fat-burning workout that combines strength and interval cardio? You’ll love the Fat Blaster Workout, which includes an instructional video, workout tracker, and follow-along audio. Best yet: You can get for FREE by clicking the banner below. Download it now!